Click on the PICTURE to view the original article. There is a clear link between people's cognitive styles and the type and depth of emotion they prefer in music, say researchers. 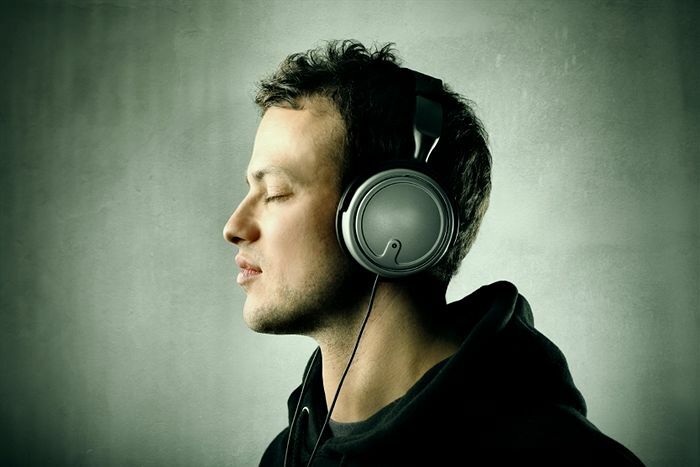 Their work, published today in PLOS ONE, shows people who are more empathetic -- have a greater ability to identify, predict and respond to the emotions of others -- are drawn to more mellow, sad, poetic and sensual music, such as R&B, adult contemporary and soft rock. However people with more analytical tendencies (called 'systemisers') go in the opposite direction, seeking punk, heavy metal, avant garde jazz and hard rock. Nabiré, a 31-year-old female Northern White Rhino, died at the Dvur Kralove zoo in the Czech Republic this week, and her death could be the final blow to chances of Northern White survival. Nabiré was born in the zoo in 1983 and lived there all her life, and now there are only four animals from the subspecies (Ceratotherium simum cottoni) alive in the world, three females and a male. Scientists at Harvard Medical School have found a way to take living human cells and transform them into tiny lasers that can emit light to track diseases such as cancer, according to research published earlier this week in the journal Nature Photonics. A global arms race to make artificial-intelligence-based autonomous weapons is almost sure to occur unless nations can ban the development of such weapons, several scientists warn. Billionaire entrepreneur Elon Musk, physicist Stephen Hawking and other tech luminaries have signed an open letter warning against the dangers of starting a global arms race of artificial intelligence (AI) technology unless the United Nations supports a ban on weapons that humans "have no meaningful control over." The National Aeronautics and Space Administration has just revealed its Z-2 space suit. Though its styling suggests 1980s sci-fi, this astronaut apparel has been designed for the future. It is the second mock-up of a suit that NASA hopes will eventually protect explorers walking on Mars or drilling into an asteroid. “Space suit design is [based] on where you’re going and what you’re doing,” explains Amy Ross. A space suit designer, she works at the Johnson Space Center in Houston, Texas.One of the Z-2’s most important features is its lower-body flexibility. This suit allows astronauts to walk, climb and crouch as they explore extraterrestrial landscapes.By November, NASA should have a prototype ready for testing. It will host Tron-like, blue luminescent patches. Why? These were selected by the public in an Internet poll. The National Basketball Association (NBA) has come under heat in recent years for scouting players at the high school level and as a result the league has imposed age rules on drafting players. Now Silicon Valley tech giants are the ones that are eyeing a very different type of high school talent.On Tuesday Bloomberg reported that Facebook is just one of several tech companies rolling out the red carpet in an effort to recruit summer interns. Bloomberg’s Sarah Frier reported that Facebook flew out 17-year-old Michael Sayman, along with his mother, to meet CEO and founder Mark Zuckerberg as an effort to woo the recent high school grad for the summer. 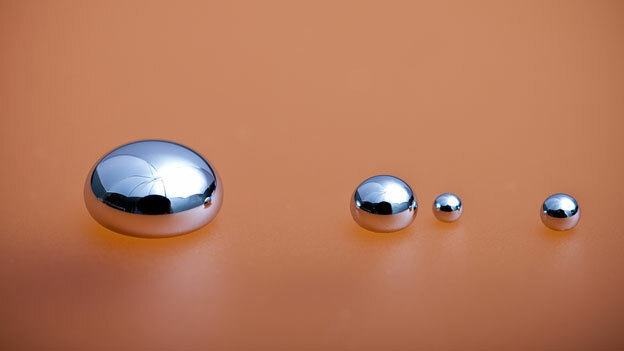 Mercury is the quixotic bad boy of the periodic table - exquisitely beautiful, but deadly. The ancients believed it was the "first matter" from which all other metals were formed. Yet it is now in such disfavour that an international treaty exists to curb its use. It is easy to see why mercury holds such fascination. It is the only metal to be liquid at room temperature. It is also one of the few things that reacts with that most alluring of all the elements: gold. The process is extraordinary to see. In his laboratory at University College London, chemistry professor Andrea Sella peels off a fragile leaf of gold and places it on a shimmering ball of mercury. Before my eyes the gold gradually vanishes, folding itself around the silver blob like bed sheets, before dissolving away. 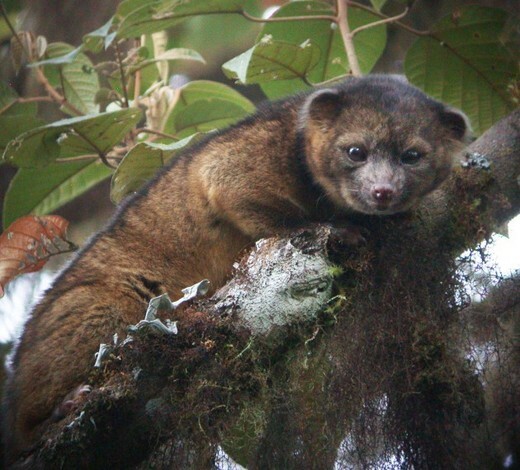 With its large brown eyes, fluffy red-orange hair and bushy tail, the Olinguito could easily be mistaken for a stuffed teddy bear. But this cute as a button mammal that belongs to the raccoon family is very much alive and extremely precious - That's because it is the first new carnivore to be 'discovered' in the western hemisphere in over three decades. According to Kristofer Helgen, the curator of mammals at the Smithsonian National Museum of Natural History, finding a new mammal species is rare to begin with, but finding a carnivore is extremely so, thanks to the fact that Carnivora is the most well-researched order in the animal kingdom. Seen an interesting article lately? Tell me and I'll put it here.